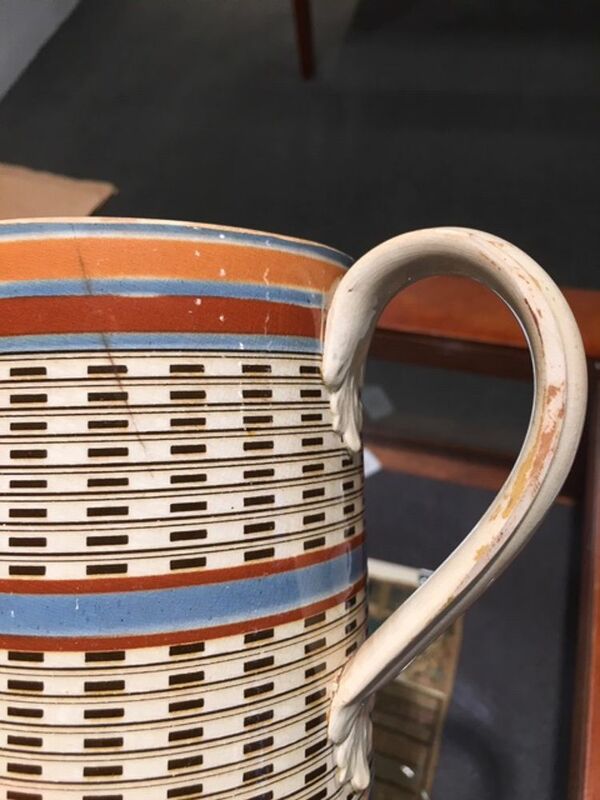 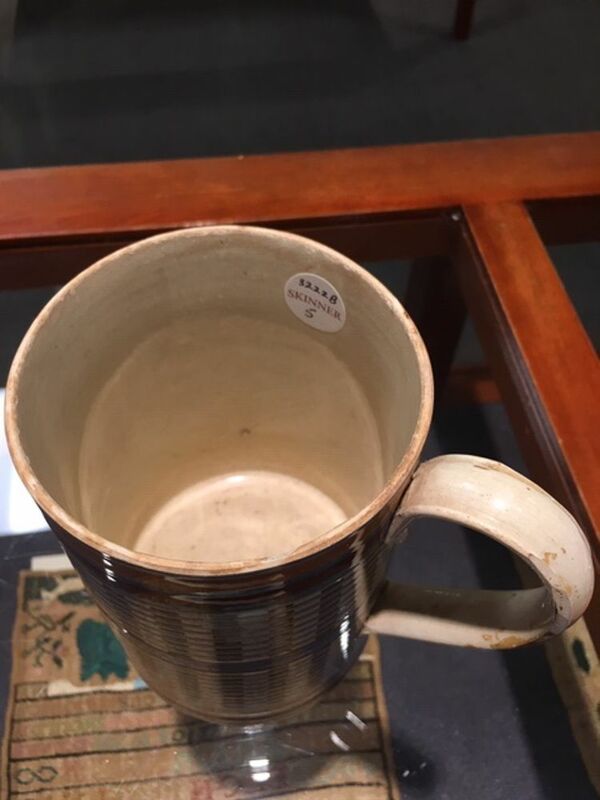 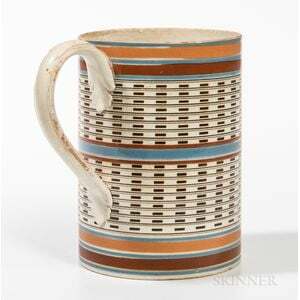 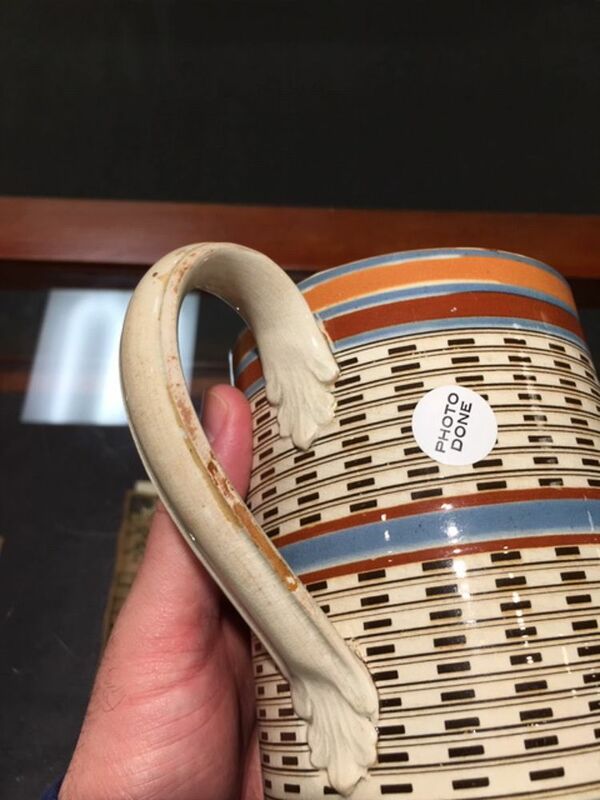 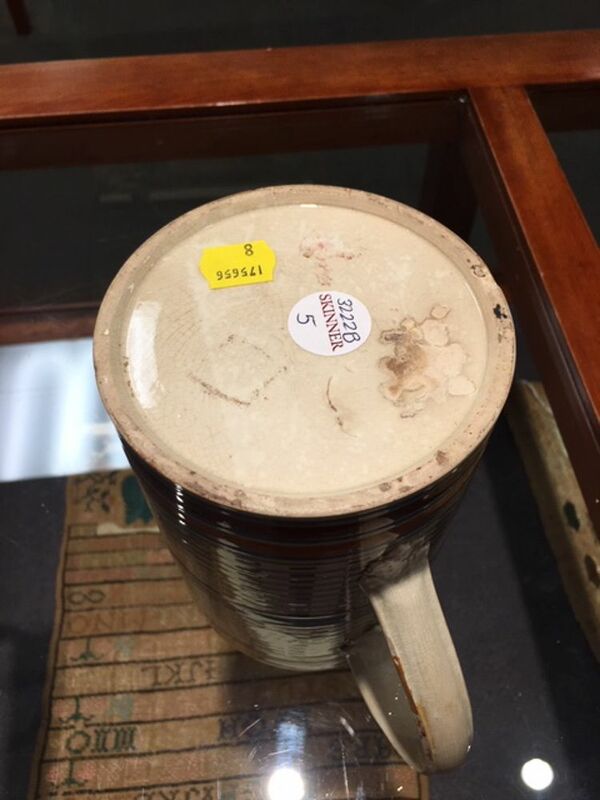 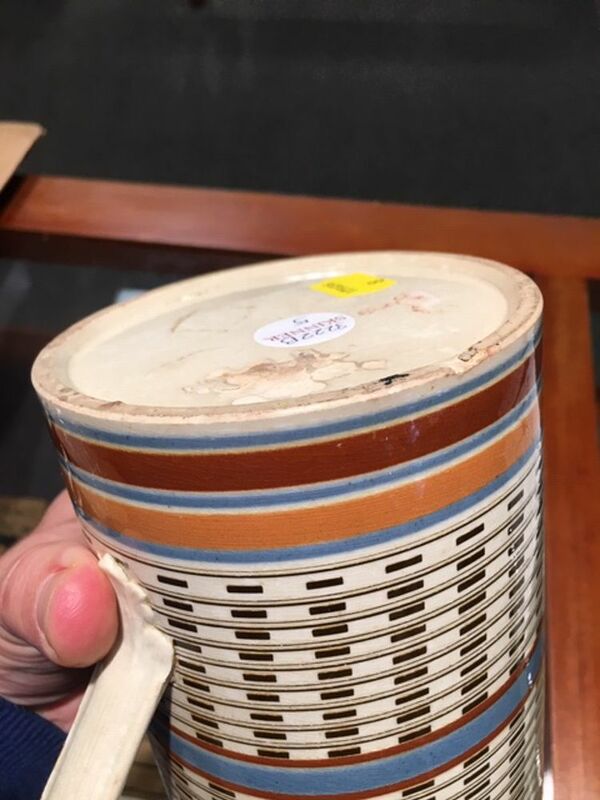 Mocha Quart Creamware Engine-turned Mug, England, c. 1790, the body with two fields of black slip inlaid banding divided by a band of blue slip, the top and bottom with bands of orange and red slip, strap handle with foliate terminals, ht. 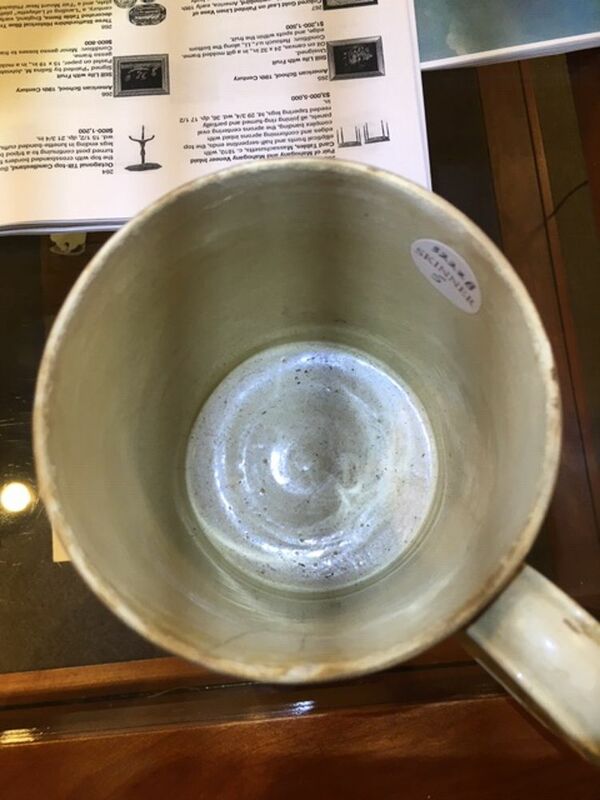 5 7/8 in. 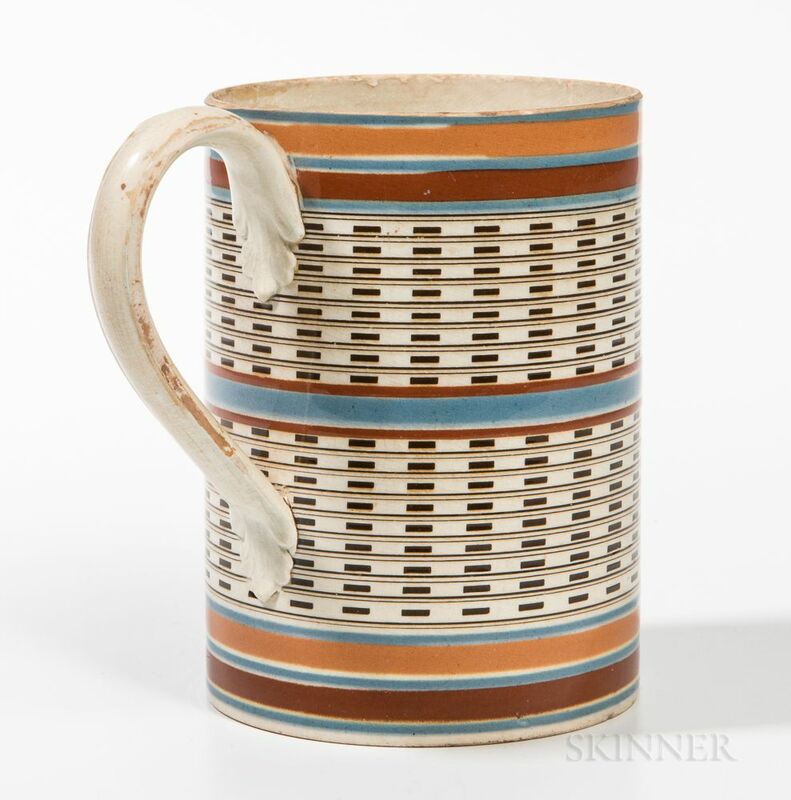 Exhibitions: Matching Burslem Wasters with Survivors, Wilton Heritage Museum, Wilton, Connecticut, 2004; Delicious Dipped Wares, National Academy Museum, New York, New York, 2007; and Mocha Mania, Dewitt Wallace Gallery, Colonial Williamsburg Foundation, Williamsburg, Virginia, 1993-1994. 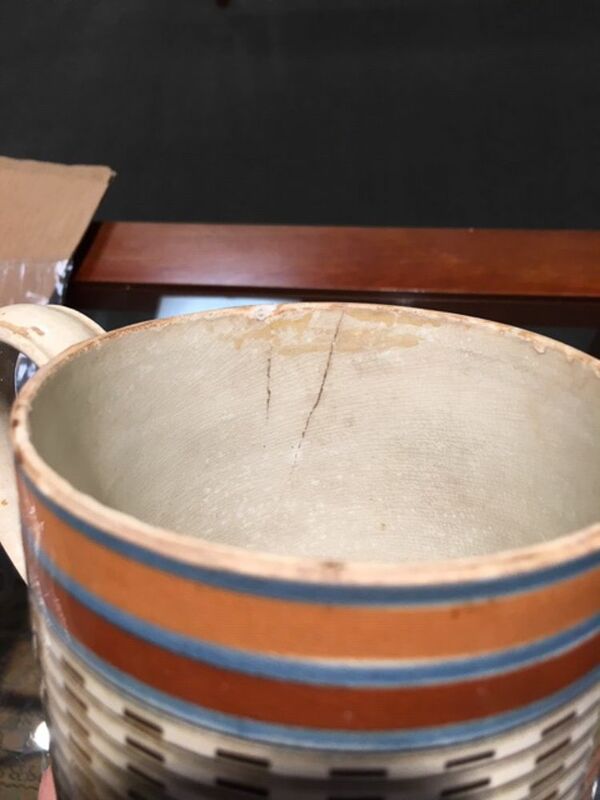 1 3/4 inch rim crack, loss to edge of handle, staining, imperfections and base chip to underside.